Microdermabrasion is the process of using tiny crystals to exfoliate the skin before drawing out the debris and impurities with suction. This procedure removes the dead and dry outer layer of the skin’s surface to reveal the fresh and healthy skin underneath! The internal health of the skin can be vastly improved through the circulation the treatment enhances deep within the skin and an enhanced blood flow means more oxygen and nutrients are supplied that enhances the skin and improves its elasticity. Microdermabrasion has been shown to enhance the absorption of skincare products by the skin by up to 50%; your skin will be more receptive to the product with better results than it normally would – all by removing the dead skin and promoting circulation! By clearing blockages and improving the circulation of the skin, microdermabrasion can reduce inflammation and improve natural skin hygiene. Not only that, it can also reduce the actual size of pores. It can also be beneficial as an anti-ageing treatment as well as also helping with sun damage, pigmentation and acne scarring. With treatment settings that are widely adjustable, our expert therapists are able to tailor the treatment to all individual skin types and problems. Quite simply, the huge number of benefits and best solutions for troublesome skin is what makes microdermabrasion one of the most popular on the market today. Specific skin problems that benefit from microdermabrasion include: acne and acne scarring, fine lines and forehead wrinkles, ageing skin, dull and tired skin, uneven skin tone, brown spots and blotches, stretch marks, pigmentation and skin blemishes. Although extremely sensitive skin or active acne may not benefit from this treatment, you will be able to discuss expectations and required outcomes during your tailored one-to-one session with our qualified therapists. Unlike many skin rejuvenation treatments, microdermabrasion is non-invasive, so requires little or no recovery time. It is often referred to as the ‘lunchtime facial’ because of its convenience and effectiveness. It can feel like a strong exfoliation but soothing and hydrating products are applied after all treatments. There may be some slight redness, however, this should only last 24 hours if it occurs at all. However, microdermabrasion is completely safe and all initial treatments are carried out with a low setting that is gradually increased as the treatment progresses. This means that we are continually monitoring your skin and adjusting the strength accordingly. As with most treatments offered at Soprano Ice Edinburgh, a patch test is provided prior to any course commencing. A single treatment can remove up to three times the number of dead skin cells in a single session than other exfoliating treatments and we would recommend a course of up to six. A course is to ensure the long lasting effects from microdermabrasion which are encouraging cell renewal, improving elasticity, smoothing the texture of the skin and reducing the signs of ageing. The pricing structure offered at Soprano Ice Edinburgh differs from many salons in that it allows clients to pay per session whilst still benefiting from our Soprano Ice Edinburgh Rewards & Offers. Treatments are therefore affordable and accessible. 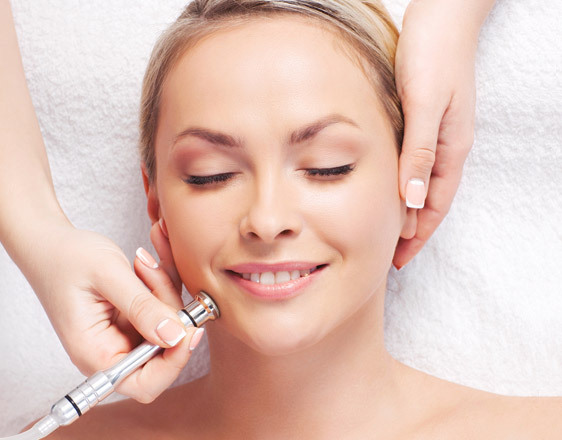 An outline price guide for Microdermabrasion treatment starts from £60 for 45 minutes with an additional Oxygen Boost Facial for a total of £110 for 75 minutes. Book six courses for the cost of five. For healthier looking skin, from the very first treatment, BOOK TODAY to organise a FREE CONSULTATION.